A customer of Esprit Engineering brought in their nice example of a Lotus Elise S1 for a precautionary head gasket change and then decided he wanted to upgrade his engine for more power but to still enjoy good reliability. 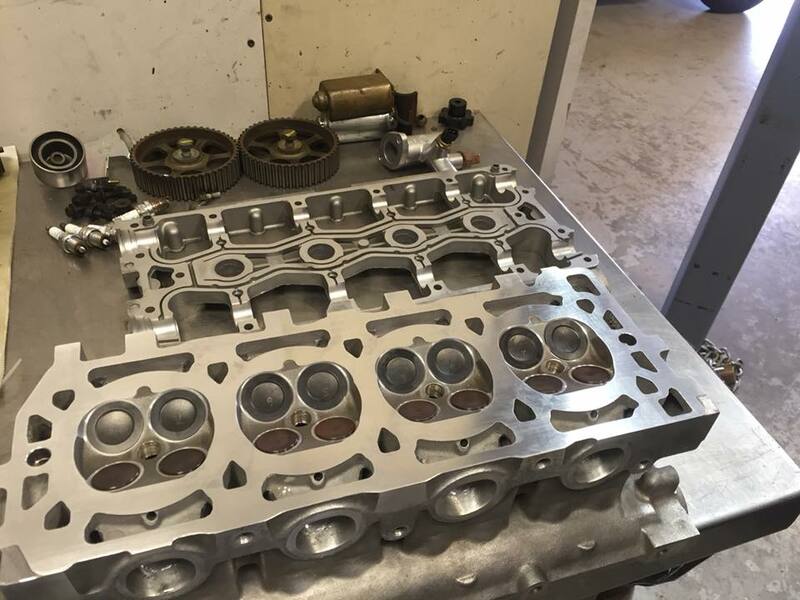 With this we sent his cylinder head off to have larger intake valves installed and to have the head flowed and ported. When doing a modification like this to any engine it is important to get the exhaust gases out as quickly and efficiently as possible and in this case this was done with a Janspeed Manifold. All said and done this engine should output around 150 BHP and improved torque, which in a lightweight Elise will make the world of difference. If you are interested in having any performance upgrades done to your Lotus Elise either for the race track or for your road car speak give us a call on +44 (0)1725 514449 or +44 (0)7973 404930.